Galletti SCX. 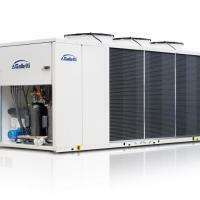 Outdoor Packaged Chillers and Heat Pumps. High configurability and efficiency at partial loads. 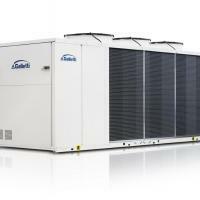 SCX is the new series of air-cooled heat pumps and chillers designed to meet the requirements of efficiency, configurability, reliability, and ease of maintenance. 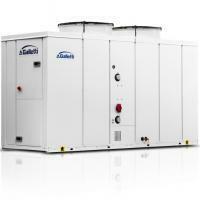 The series comprises 22 models with cooling capacities ranging from 80 to 360 kW. 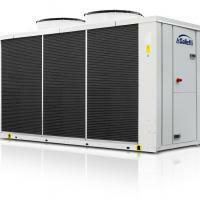 They are available both in models with a cooling function only and in models with heat pump operation. The finned block heat exchanger is generously sized to optimize operation as both evaporator and condenser by type of fin and circuit. 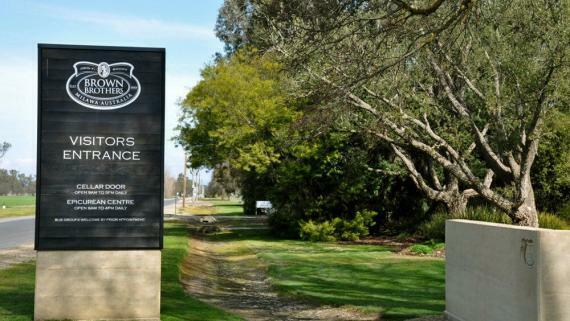 The solution of a single heat exchanger with delivered power of up to 160 kW was adopted due to the complete accessibility to the internal water and cooling circuit for the periodic inspection and maintenance operations. The solution of a single heat exchanger makes it possible to reduce the space necessary for the installation of the units. The electric axial fans with blades with an exclusive aerodynamic profile (HyBlade®) are characterized by extraordinary aeraulic and acoustic performance and represent the current state of the art for axial fans. 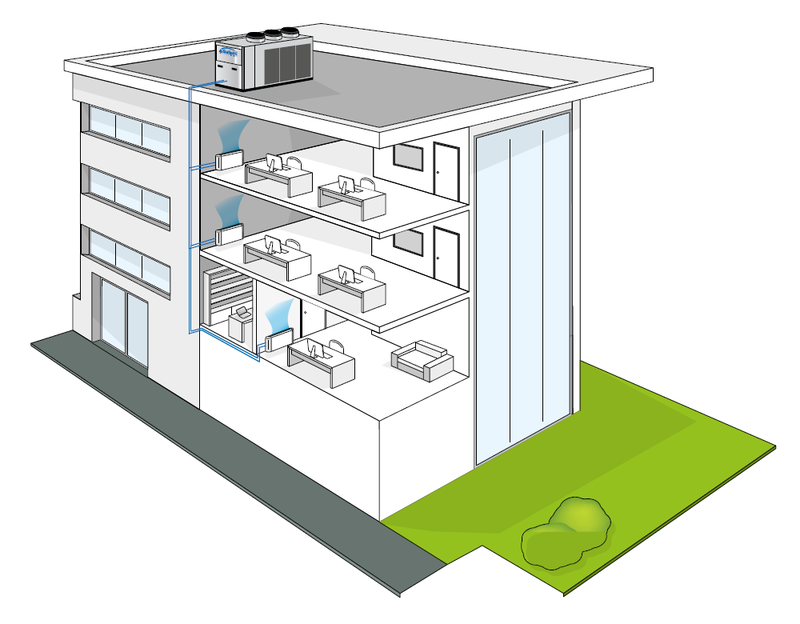 The AxiTop® diffuser allows fan efficiency to be further increased with benefits in terms of noise level (together with condensation control) and unit efficiency. The SCX design adopts innovative solutions in the use and arrangement of the hydronic kit’s internal components, which is simplified to reduce the number of connections and minimize the water side head loss inside the machine. Every model is completely configurable with a choice of control, hydraulic, acoustic, and heat recovery options that do not result in any change to the dimensions. 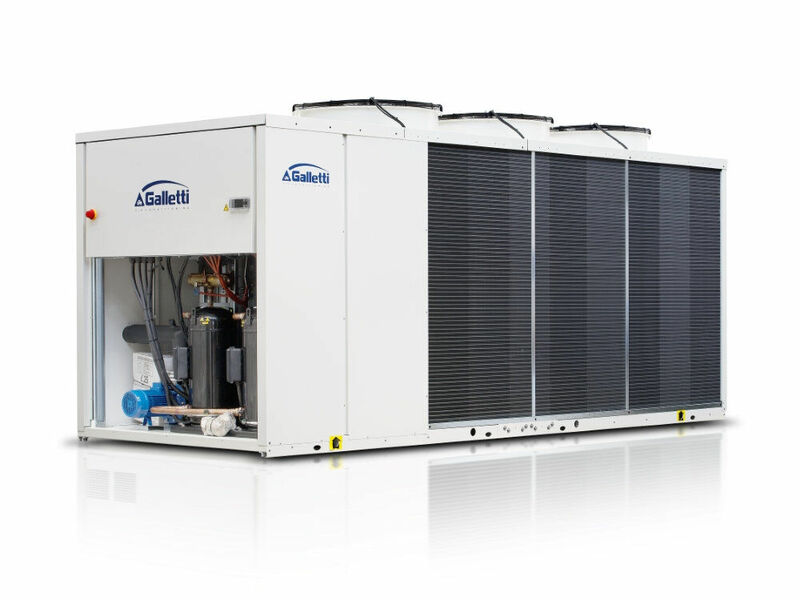 The choice to install scroll compressors in a tandem or trio configuration on the same cooling circuit is a move in the right direction in terms of machine efficiency at partial loads, which is the normal operating condition for air conditioning systems. Made in galvanised steel sheet with a polyester powder coating for outdoors. Base with reinforcement modules for eliminating any deformities resulting from impacts sustained in the transportation and handling phase. 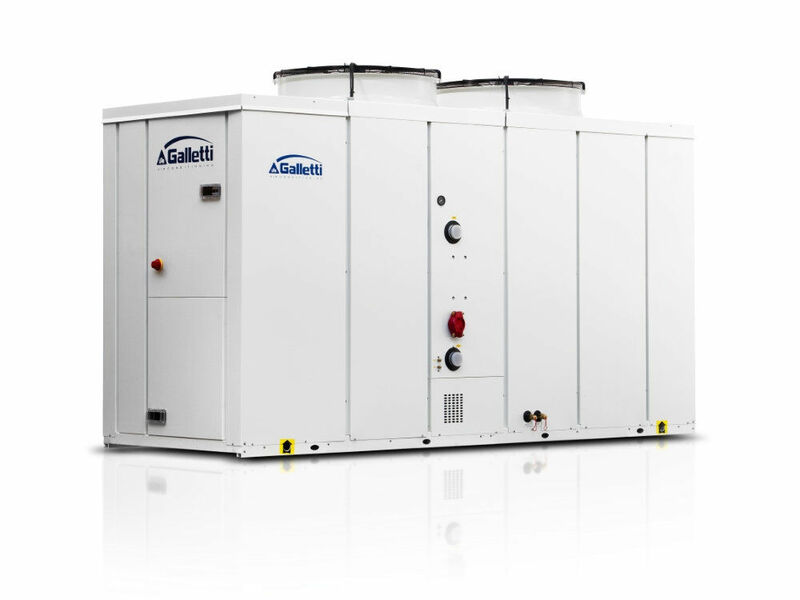 Scroll type compressors in a tandem or trio configuration that can be sound insulated. 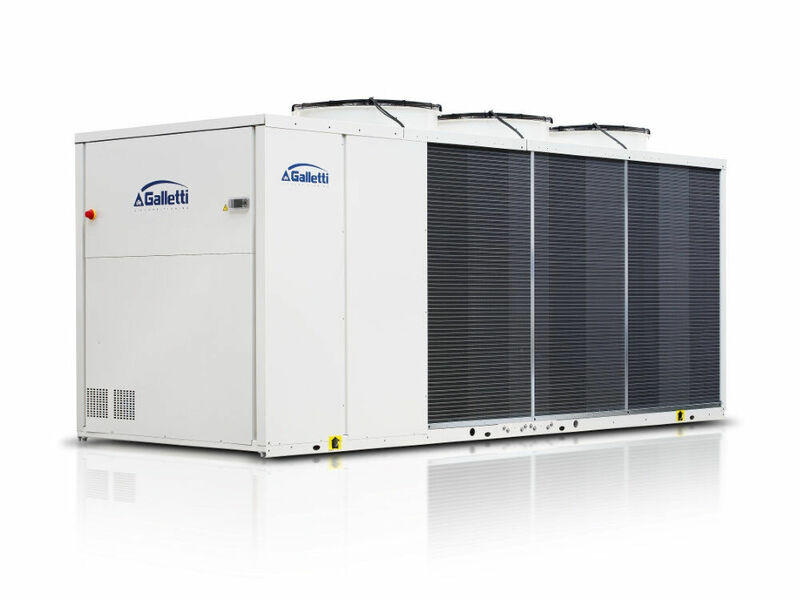 The adopted components’ efficiency, reliability, and noise emission levels represent the state of the art for scroll compressors. 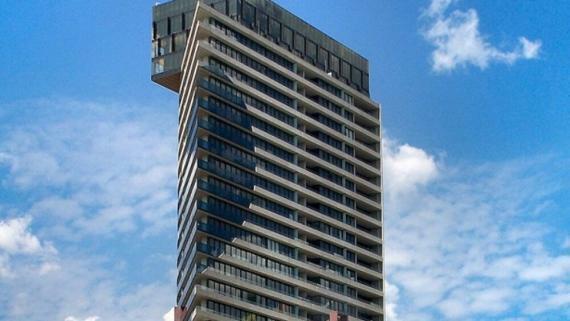 In standard or advanced version, it enables the complete control of the units. It can be easily accessed through a polycarbonate flap with IP 65 protection rating. The electronic control system allows the setpoint to be adjusted automatically according to the outdoor temperature in order to reduce consumption and broaden the working temperature range. The advanced version makes it possible to construct LAN networks for the parallel control of 4 units and the management of BACNET and LON communication protocols, as well as the modulation of the pump assembly, of the Smart Defrost System. Electric fan with 6-pole external rotor motor directly keyed to the axial fan, with internal thermal protection on the windings, complete with safety grille and dedicated supporting structure. Electric fans with BLDC motor are available on request. Made of 8mm diameter copper pipes and aluminium fins. 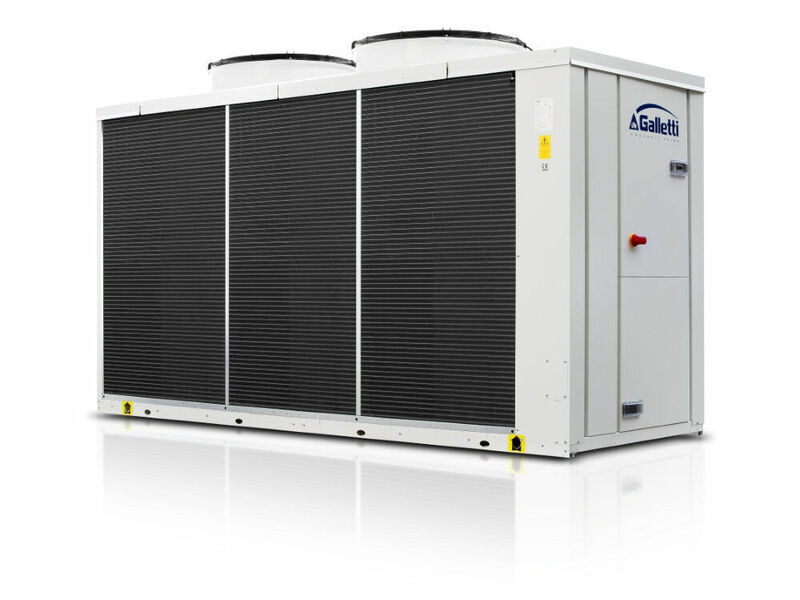 The special engineering of the heat exchangers allows defrost cycles to be carried out at maximum speed in the models with heat pump operation, which brings clear benefits in terms of the integrated efficiency of the whole cycle. The models are completely conﬁgurable by selecting the version and the options. An example of conﬁguration is shown below.